Commitment - Being committed to the team and the sprint goal. So when you finished your work so check if you can help someone else in the team to help them meet the sprint goal. Focus - Eyes on the goal and not being distracted by personal favors, not even for the CEO, if it endangers the sprint goal. Openness - Being transparent on how the team is doing and being open about failure or difficulties you might run into. Respect - Sharing your knowledge within the team and embracing the professionalism from your team members. Courage - Being a professional to admit mistakes and move beyond your ego to change direction to solve complex problems. This resulted in an enthusiastic reaction from the group. 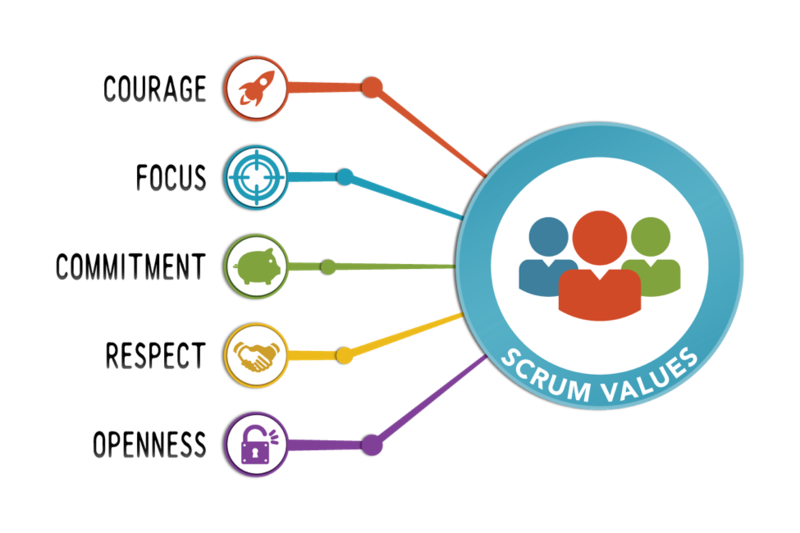 So, the Scrum Values, in fact describe the desired behaviour of a Scrum Team? Yes, yes, YES! The new Scrum guide provides Scrum Teams some key elements of desired behaviour. This will help them to move from doing 'Mechanical Scrum'* to 'Professional Scrum'. This insight gave the students a boost of energy and looking forward to the second day of training to dive into the behaviour of a Scrum Team and how the Scrum Master can facilitate the team in showing this behaviour. 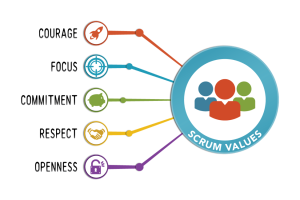 Download the new Scrum Guide!